We are constantly finding new helpful tools to make your job easier. Below are some of the most helpful links and resources weï¿½ve found. Got a great resource to share? Let us know. Buildings offers current information on new products and resources and educational courses for all types of facilities management. The Eviction Lab is a team of researchers, students, and website architects who believe that a stable, affordable home is central to human flourishing and economic mobility. Important data updates from the National Apartment Association and the National Multifamily Housing Council on the state and impact of the apartment industry. KEYS ARE THE PROBLEM. WE HAVE THE SOLUTION, GUARANTEED! GoKeyless products protect lives and property and truly make life more convenient. Whether you're ready to sell your lease, need assistance in lease negotiations, or are simply exploring your options, Lease Advisors can help you maximise the value of your lease in three easy steps. Turn photos into affordable, stunning wall art! Mixtiles are 8 by 8 inches large and just under an inch thick. Rearrange your set to fit the season, your mood, or anything else. Serving your Grand Opening, Ribbon Cutting, & Business Events Needs: We are a one-of-a-kind business that organizes all of the details for your special event. We offer over 1000 products and services, designed to meet your needs and budget! Presenting audio interviews with leading property management professionals on important topics on how to excel in creating value for multifamily real estate assets. The Battery Powered HouseKeeping Cart transports clean linen supplies used for daily duties in hospitality and hospital environments, eliminating the manual pushing of these heavy supplies, especially where carpeting makes them very difficult to push. Want to learn how renting plastic moving boxes can save you time, money, stress, and your own little bit of the planet? Good, we knew you did. Then, the next time you have to move, it will be significantly less sucky. Commercial refrigeration refined for the home, envied in the industry, and crafted—gorgeously—in America. Prepare to be floored. A new & revolutionary flooring system that is 100% water-resistant. Evictions can take months. With us, get closure in a maximum of 2 weeks. Our mediators work around your schedule using video chat, phone, or email—without you ever going to court. We make furniture for real life. Pets. kids. A sloppy spouse. We've got you covered! Slobproof! holds up to whatever you can throw at it. We guarantee it. Curious has the skills you need to get your dream job, grow a garden, or take better pictures. We've found the world's best teachers, so your valuable time can be spent improving you. A division of Insulfoam, a Carlisle Construction Materials Company, Premier SIPs is an incredible framing alternative to traditional dimensional lumber. This is a resident portal that streamlines communication between property management and residents. We provide you with the latest breaking news and videos straight from the digital marketing industry. Designing Spaces™ is an award-winning home improvement show that travels all over the country to remodel, redecorate and redesign the spaces we call home. The show educates and entertains with innovative decorating ideas. Bikemunk is a website dedicated to helping people understand bikes, especially in the context of making a purchase. The price of a bike can run all the way up into the five figure range, so it's important to know what you're getting for your money. New products and design strategies increase options for acoustic control with gypsum board. Heat your room for 10 cents a day! Using candles will never be the same. Resource Furniture really is a one-stop shop for furniture for all projects from residential to large scale commercial. Creating powerful images since 1951 to help businesses grow and to highlight individuals' images. Custom signage and lighting not only get noticed but set a tone. Challenge us to craft your signature style. Color Design Development Group is a national architectural color consulting firm dedicated to using color with a purpose. Our systematic approach to each type of project ensures quality and cost-effectiveness while achieving your project goals. Setting Up A Call Is Easy As 1-2-3! 1. Record a message to be played in your calls. 2. Create a list of people you want to send the message to. 3. To finish, set a few call options, and that's it - your call is now being broadcast to your contacts. 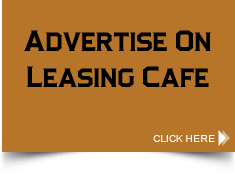 Helium-free reusable plastic balloons pioneered by Balloon Innovations Inc. are the cost-effective long-term advertising solution for car dealerships, apartment & multifamily housing, home builders, realtors, car washes, and hundreds of other industries. Show-Safe is a Web-based software app that automatically sends an alert email and text message to your emergency contacts (friends, family or colleagues) if you don’t check in from a showing or other event by your scheduled return time. Stories from a stranger than fiction journey as a manager, as well as hilarious stories from readers. Rent & Retain Magazine is a jump-start collection of ideas designed specifically for the property management professional. "Most of what I write can be related to any industry. Leadership, communications, training and education, marketing, and hiring. The majority of my career has been managing property, but more importantly leading others to excel and exceed." PayNearMe.com makes it easy for your customers to pay with cash at 17,000 trusted retail locations nationwide. Download this free app and take videos of your property yourself and the CTM team will edit and compile it into a quality video for you to use on the web. Contact www.capturethemarket.com for pricing details. With Chromecast, you can easily enjoy your favorite online entertainment on your HDTV—movies, TV shows, music, and more from Netflix, YouTube, Hulu Plus, Google Play Movies and Music, and Chrome. This property management blog by 30 plus year apartment industry veteran Lori Hammond provides excellent managerial insight and weekly tips. The bizzie box was created to be easy to use and convenient, so you can quickly place your drycleaning and laundry order and move on with your day. Make it small, make it yourself, and make it yours. Decor and DIY crafts for the small apartment. Wallmonkeys are premium, custom-made wall decals printed on Photo-Tex fabric and 100% Guaranteed! Innovative, unique and rare. A remarkable piece of art decor and a definitive modern take on the holiday tree. Plugable’s mission is to deliver great PC peripheral technology products with amazing customer support to back them up. London Designer Emma Jeffs launched her window film collection in the UK in 2006. With a background in printed textiles she set about developing a solution to rid London windows of the grey net curtain forever. SteadyPay lets you pay your bills through payroll deduction just like any other automatic deduction, 401K, taxes, health insurance, and so on. Spot On Networks is the leading provider of managed WiFi networks to the U.S. multitenant housing market and a trusted leader in hotel WiFi since 2004. MirrorMate is an easy, affordable way to custom frame those mirrors while still on the wall - so there is no room downtime. Introducing the Verifi® bed bug detector, the world’s first active device to provide up to 90 days of ongoing bed bug detection. IdeaPaint transforms any surface into a dry erase canvas, giving you the space you need to create, connect and fully explore your big ideas. Google Forms are amazing tools, allowing you to do some really advanced tricks with forms as the front-end and spreadsheets at the heart. A collaboration between Rich George -NOI Coach, Leah Brewer -Leasing Queen, and a consortium of multifamily industry speakers, influencers and thought leaders to bring their years of knowledge and wisdom to you in these self-paced e-learning courses. Our policy systems facilitate corporate policy and procedure. Our property management policy manuals system is a dynamic solution. By Locometric RoomScan draws floor plans all by itself - just touch each wall with your phone! To get the best from the app, please watch this one minute demo video: http://locometric.com/demo Now FREE on iTunes! If you're a landlord, you may use consumer reports to evaluate rental applications - as long as you follow the provisions of the Fair Credit Reporting Act (FCRA). She does it all! Decorate your house at top speed, using Jill's practical, stylish tips that will transform any abode instantly. Apartment Guardian is a personal safety device designed to dramatically improve the safety of your on-site employees. At Design Within Reach, we make authentic modern design accessible. "Within reach" means things not found elsewhere. It means in stock. Lead Paint is dangerous but can either be removed (abated) or encapsulated. Dumond Chemicals Lead Stop complies with all EPA and HUD requirements. SimTek Fence has reinvented fence manufacturing with its patented design of rotationally-molded fencing allowing realistic stone appearance and superior performance. Chip It! is a color tool that lets you instantly turn any picture online into a color palette pulled from more than 1,500 Sherwin-Williams paint colors. Sendaball, Inc. is a family business headquartered in Chicago. It is owned by a couple of BALLSY sisters who have been sending balls since the 90s, but one day in 2003, it seemed this CRAZY idea was meant to be a BUSINESS. Conservation Grass is a synthetic grass solution for the luxury residential market. Whether it's an informal daily meeting, weekly meeting, or something much bigger (like an annual conference or quarterly event), we have something that can help you and your team get committed and focused on what you need to get done. Ever have a problem wall to repair or a unit with a not-so-great view? Check out his website for a great alternative. Removable, reusable, repositionable chalkboard and dry erase decals. Want to take a video of your tour and email it to your prospect? Download this Free Application and make it so! Great closing tool. The aim of Excel School is to make beginners become productive and awesome in Excel. It has an optional module on Dashboards, which can teach you how to design awesome Excel Dashboards. This company designs comprehensive, high quality, bundled Residence Hall Essentials and ships them via shipping container directly to your University on behalf of your freshmen class. Watch riveting talks by remarkable people around the world. Topics on technology, design, business, science, global issues, etc. Get inspired while you learn! Resident Events is a resource for property management professionals to find, share, and rate apartment party ideas with each other! Need some apartment party ideas? Just take a look around! "Our Mission is getting the return on your investment: To quickly analyze your organization's current challenges and performance issues, and prepare an Action Plan specific to YOUR company's needs and goals." Ellis Property Management Services, (EPMS), provides executive-level management and marketing consulting services to the multifamily industry. Discover our simple, effective and affordable marketing tips and tricks. Free marketing plans, help with press releases and we have a podcast you can listen to as well. Multifamily Insiders provides plenty of apartment-related resources, such as multifamily blogs, apartment jobs listings, discussion areas, and apartment vendor listings. Register for free and get access to even more features! Enhance your online floor plans with 3D virtualization. Great place to go for inspiration for apartment decorating, design and upgrading ideas. ToolsOfTheTrade.net offers a wealth of information on the best buys in tools, publishes a magazine with a free online version, has an informative blog and offers a free newsletter. Property management professionals share new ideas, solutions, and innovations for current issues and challenges that confront the apartment industry. Multihousing Professional Magazine online offers wonderful, informative articles for FREE download and industry news. Multifamily operators benefit from the experiences of revenue management users in other industries. Sign up for an RSS Fee and review free educational videos. WalkScore.com Rates your community's Walkability! Visit www.WalkScore.com and determine your community's "walkability rate" just by entering your address. If you rate a great walkability score, you can add a link on your website to impress your visitors and prospects. MHN remains your source for the latest in breaking multi-housing news. MHN's blog will dig even deeper to provide our readers with in-depth analysis and coverage on a daily basis. This blog went live July 2007 and is a great resource. If you have a tight budget and can’t afford to setup another model, then consider using the “Lay It Out” furniture templates. This website has great articles for property managers, maintenance personnel, contractors and more! Lowe's works to keep this site updated constantly and gets insight from lots of sources to keep the topics relevant and useful. Ever wonder what colors you could use for an accent wall in your model or what colors would look like together on an exterior building. I think we all know that "leasing" is another word for "sales" and this website has tons of ideas to make you the best sales person on the team. Sign up for his free email subscription.